I didn’t realize yesterday was Earth Day until we had completed our walk around the Inglewood Bird Sanctuary and one of the sanctuary volunteers delivered the news. It suddenly made sense why the trails were busy with families, couples and birders enjoying the sunny 23C weather and hoping to catch a glimpse of a gosling, robin or ruby-breasted whatchamazoo. It's too bright! It's too hot! Please don't make us commune with nature on Earth Day! At least we spent a good chunk of the day outdoors, forcibly enjoying nature. I think our outing was environmentally-friendly too. Bennett dressed in camo shorts to blend in with the natural prairie and river surroundings. Avery didn’t get the memo; she rocked a polka dot shirt and heart-patterned skirt, an ensemble so loud I’m sure that’s why we didn’t see any deer. So, Mother Nature, I’m sorry we didn’t help out more yesterday. But we didn’t do any harm either. I think they call that a net-zero kind of day. What about you? Did you get outside, hug a tree or otherwise on Earth Day? 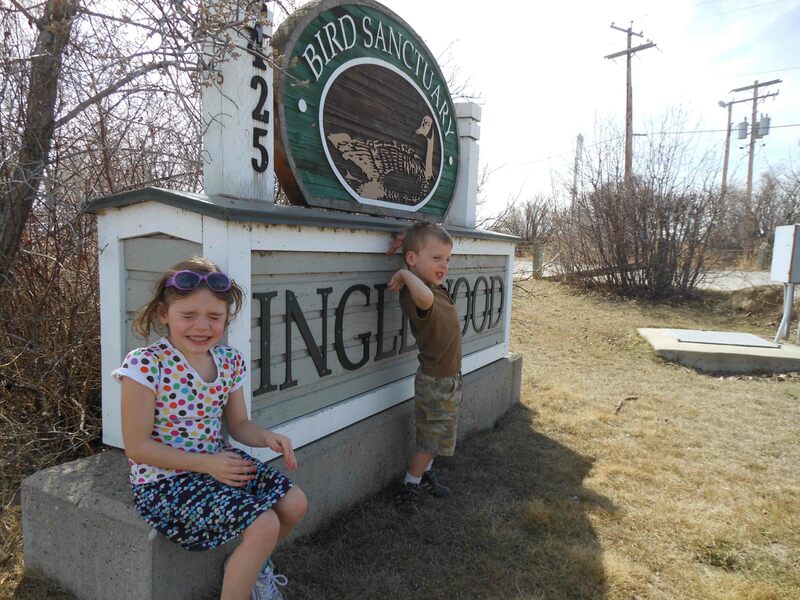 This entry was posted in Potpourri and tagged Earth Day, Earth Day with kids, Inglewood Bird Sanctuary, Inglewood Bird Sanctuary with kids. Bookmark the permalink.